The products are oriented about the partners of RadioBro. Learn more below. The Orion products provide clients a cost-effective and robust ignition system. The system is designed to support aerospace test stand operations, and is used in industrial applications. The original product series was designed by Orion Development Corporation. Working with Pickens Innovations, RadioBro has been able to take the product into small batch production. Future designs include 'smart' exciter, which will embed a controller with health monitoring. RadioBro's connectivity and cloud technologies will allow customers to log into the product globally. Have you visited Pickens Innovations? One of the test stands is operated by the Aerospace Power Controller. The APC provides sequencing of the valves and operates ignition with the Orion Exciter. Working with Big Data allows for users to experience information in new ways. RadioBro performs data fusion from its product and offers it in the immersive experience of Virtual Reality. 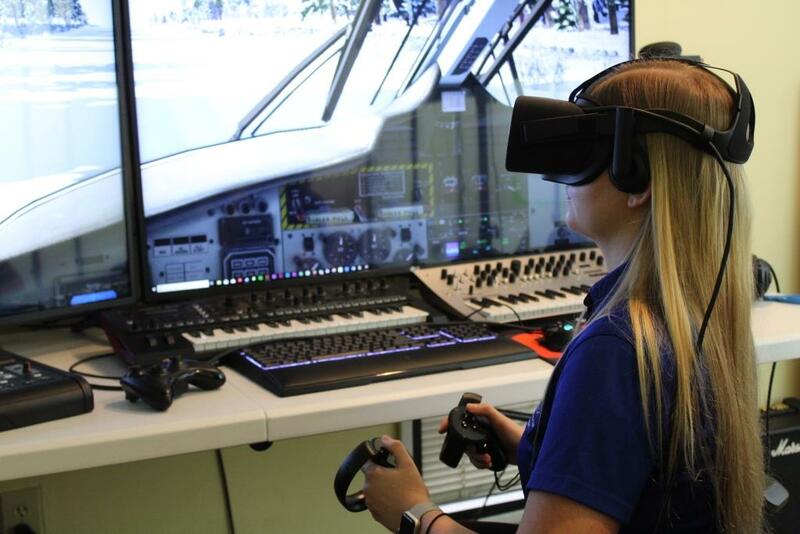 Partnering with Aebuma LLC, RadioBro is able to bring in the state-of-the-art in deployable virtual reality. With the need of new avionics to support new aircraft missions, RadioBro regularly develops new smart electronics. Working with experimental test pilots at XP Services, Inc, the need was identified for smart fuel management systems on aircraft. RadioBro was able to deliver, in partnership with XPS, the Center of Gravity Fuel Computer. This product supports manned aircraft by automating fuel transfers between tanks within the aircraft. This keeps the aircraft center of gravity in an ideal position for safe, long-endurance flight. Pilots using the Aircraft Fuel Computer report the feature reduces pilot workload, especially when on-mission. The aircraft fuel computer is based on RadioBro's Aerospace Power Controller products. The state-of-the-art in navigation products changed with the development of Micro-Electro-Mechanical Systems, or MEMS, electronics. MEMS-based INS products allow mid-range aircraft payloads have access to cost-effective navigation data. RadioBro uses SBG Systems products for many solutions. The Ellipse 2 and Ekinox 2 product lines support many of the RadioBro manned aircraft projects. RadioBro serves as a Value Add Partner for SBG Systems in the US. RadioBro supports selection, purchase/lease, and integration of the SBG product. The SBG products directly integrate with RadioBro's Cyclone Data Acquisition System. MEMS-based INS products are improving quickly with the autonomous aircraft and autonomous vehicles. Next generation communication requires the fastest communication. Using FSO, users have access to 10gbps data rates in point-to-point applications. FSO is proven to provide critical trunk data links for air-to-ground and space-to-ground applications. RadioBro operates these products, integrating the INS navigation products into mission configurations. RadioBro is a value-add partner by performing FSO integation and testing. RadioBro's Cyclone Data Acquisition System provides the usage monitoring to ensure a optical data link is reliable. For aircraft, there is a sizable effort to ensure each component is integrated in a safe and funtional manner. RadioBro serves as an integration partner for FSO products for various missions. "The [RadioBro] engineers develop all of their products using Solid Edge. The software comes in very handy: For example, if a supplier asks for a different tooling requirement, the change can be digitally modelled, interferences evaluated, and assembly simulations executed. The 3D models are very useful on our scale of tiny and highly integrated devices." RadioBro relies on the ability to test its avionics. Working with The OSU Center for Aviation Studies, RadioBro is able to test its innovations in data acquisiton products, processes, and cloud-based software innovations. RadioBro, working with OSU, is accellerating the next-generation big-data in aerospace. RadioBro is a proud member of the Huntsville Chamber. This organization promotes the mission of RadioBro by performing the global economic development. RadioBro uses the services of Huntsville Think Tank to accelerate its innovation. Working within the Huntsville Think Tank, RadioBro get exposure to problem owners and other developers, allowing rapid development of technology solutions.